Cedric of Flandars and Piece of England are of two different worlds whose fates intertwined thanks to one, ravenous vampiress. Cedric, a poor farm boy recently orphaned due to the plague, wanders the forest, near delirious with grief and sickness until the Countess’s men pick him up. Soon, he learns that Countess Marie is gathering the orphans and bringing them to her castle. While Cedric is grateful that he now has a roof over his head, he can’t help but to notice that things are very…odd…in the castle. Meanwhile, in England, Pierce van Flemming is making quite the name for himself, much to the delight of all the young girls and to the chagrin of his family. Soon, even Countess Marie hears of the wild man. The Vampiric Countess connects Pierce to an ancient vampire prophecy – one of which names him as the heir to their world. She concocts a plan to ensnare and enslave the man to ensure her power of the remaining vampire clans. And then, with Cedric, her human servant, she sets off to England. 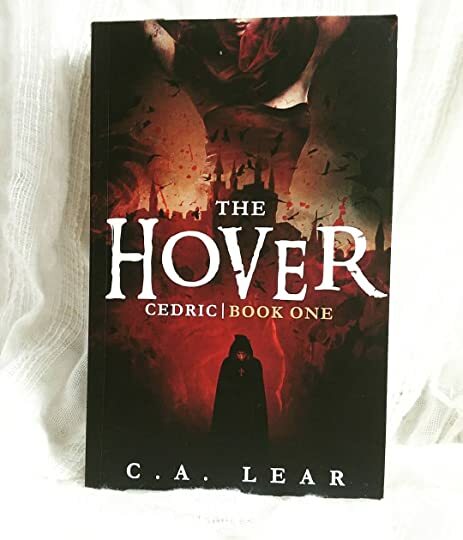 Only, when she gets there, she finds Pierce quite unwilling to be her slave and even loyal Cedric begins testing his bounds. Will the men overthrow the countess or forever be at her mercy? Overall – I enjoyed this one. It was a new take on a tired trope. Lear seamlessly wove to together the simple farm life, bustling city and feral magic into one wonderfully fleshed out world. The characters are excellent in this novel. I adored Piece’s dashing and wild ways. Lear really has a knack for family dynamics and dialogue – those moments were truly well-written. Cedric’s love for Lily was a sweet interlude – though I do wish the young couple was given a bit more screen time and dialogue to really cement the relationship in the audience’s mind. And the wicked Countess was perfectly evil – and her slow descent into madness kept me hooked. I cannot wait to see what the author writes next!